Today’s scarf is one I didn’t make myself. It is a fabric scarf covered in butterflies. I found this on the clearance rack at Kohl’s. We stopped in quick to find something, I can’t remember what, and I love to look at the clearance so I headed to the accessories and found this scarf. 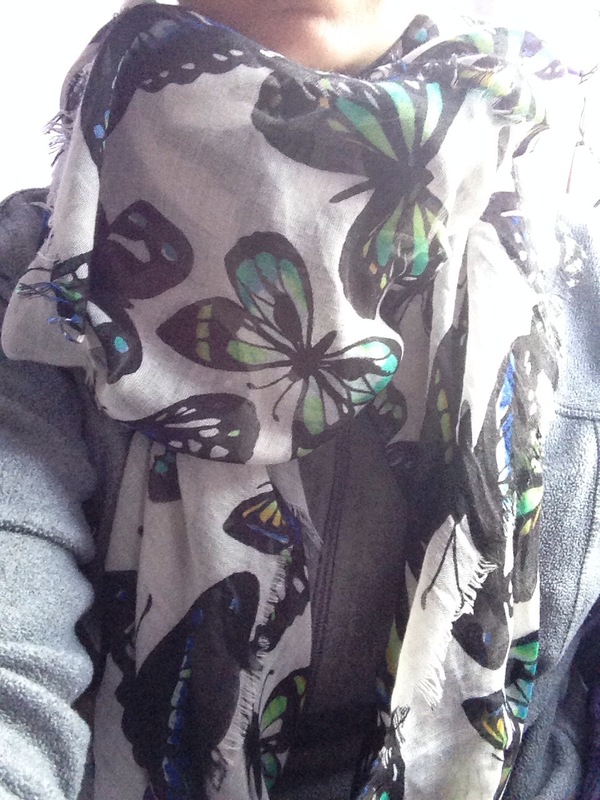 Now I love butterflies and I was even one for Halloween a couple if years ago, so I had to have this scarf. And with it being on clearance and me having a coupon it worked out really well.